Hello, Gorgeous! : In a trance. This weekend happened to be one where we were actually home. Subsequently, I found myself at the mall. kidding. Anywho, so, J left the mall with a few bags of goodies from Express.... and I found myself at Forever21. In a trance. Per usual. 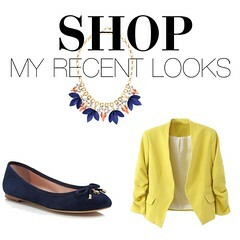 Here's what I've been wearing lately! All so cute! Love the striped skirt and all the accessories! Love those outfits. 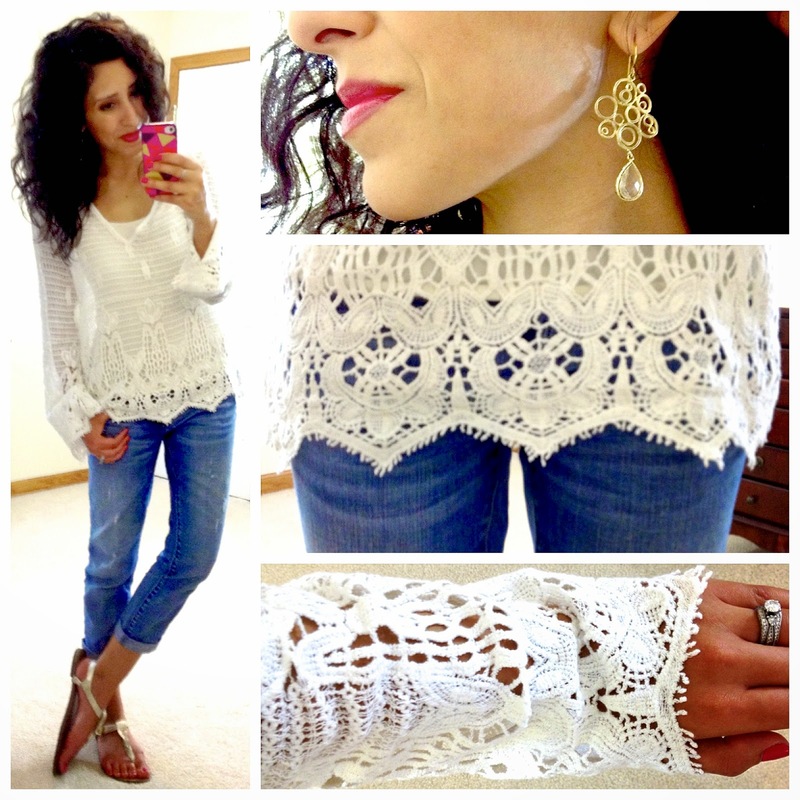 That crochet top is simply stunning. And I've often wondered why guys always wait till the last minute to buy clothes! I love them all, as usual. I think my favorite is the first one. I have been really into stripes with a bold color this year. Really cute. 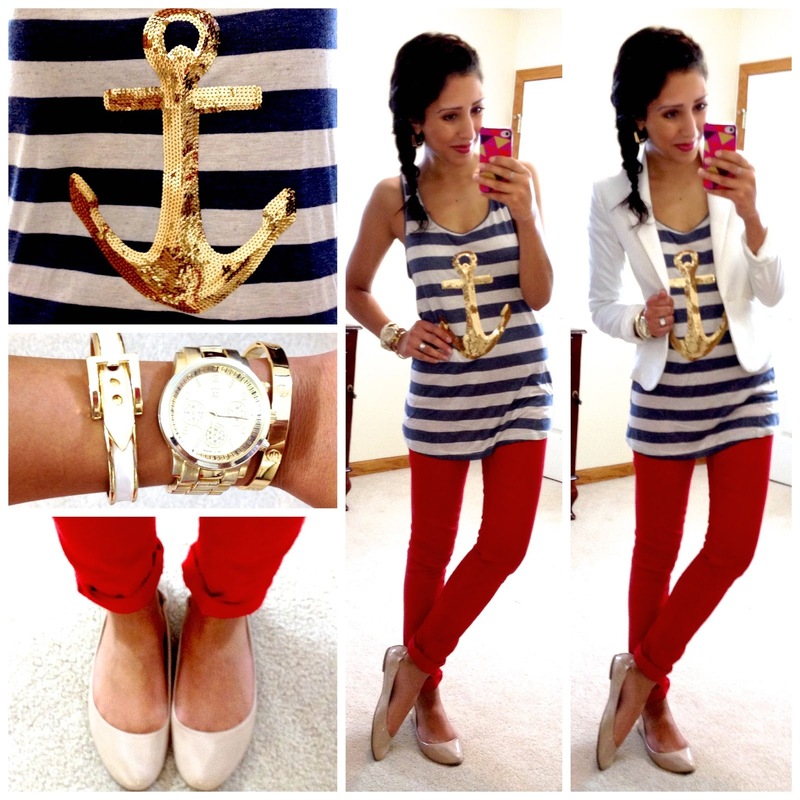 And your one anchor outfit would be perfect for the 4th of July! May I ask a strange question?! Every time I try to tuck in a shirt to a skirt or pants, I get that bumpy frumpy bulgy look underneath. Any tips on how to smooth that down? do you use a special app on your iphone to take the collage pictures? looks great as always yasi jan! where can one buy the Earrings c/o Blossom Jewelry Design? I love them! I don't think she has these earrings available right now. But, she has tons of other beautiful pieces. =) Happy shopping! 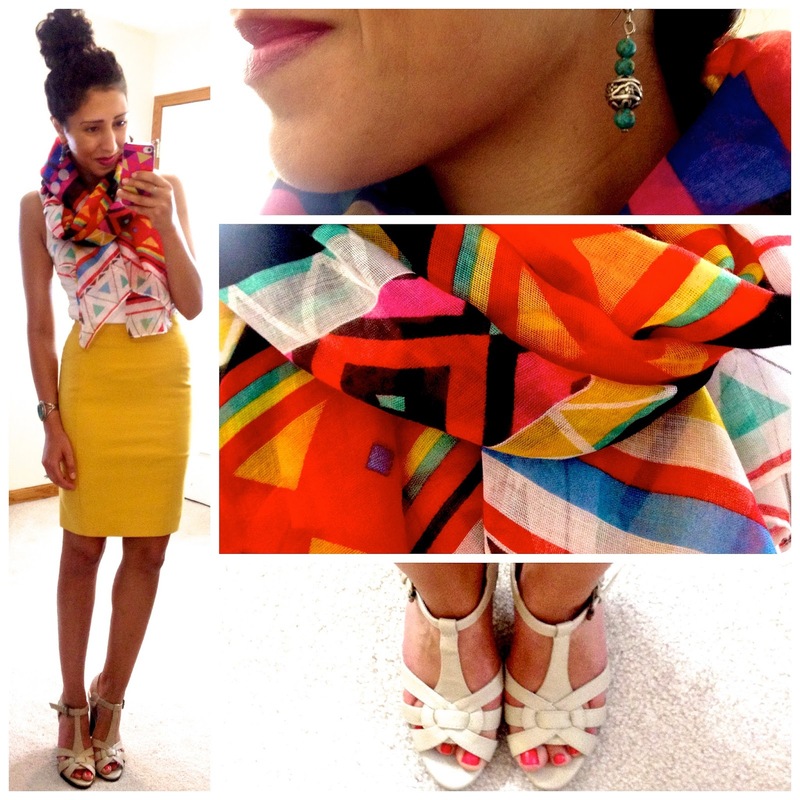 Accessory Mercado $100 Flash Sale Giveaway! !